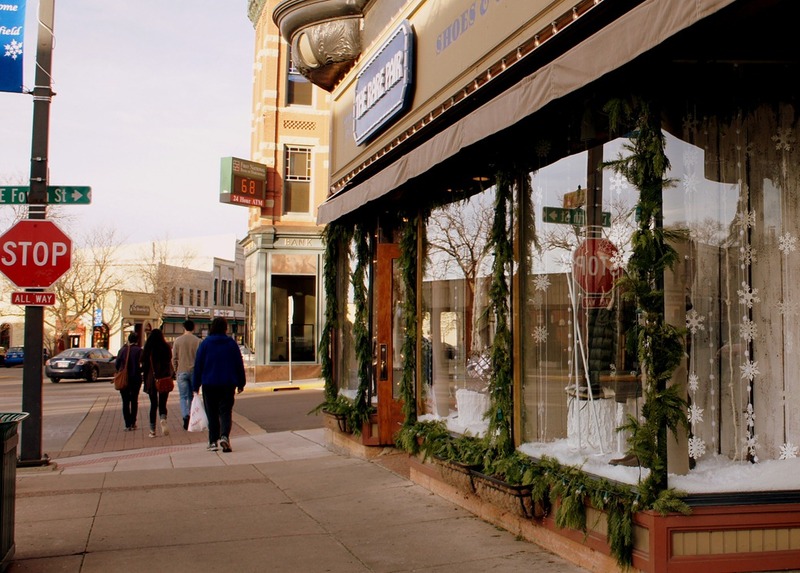 A week ago yesterday, it was 68 degrees when I took the photo on the left of the Rare Pair‘s winter-themed display window. This morning I noticed that the trees on Bridge Square are all dressed up with Xmas lights for Winter Walk 2012 next week, with nothing but brown grass underneath them. Highs this weekend are forecast to be close to 50 degrees, with possible thundershowers. Santa Claus was in fine form on Bridge Square around noon today. Jim Rossow was nowhere to be found. With my extreme disappointment over the predicted snowstorm that failed to materialize, I tried to find something to post before midnight on Xmas that would reflect the spirit of the day. I found one at Someecards, natch. Warning: not for the tender-hearted or easily-offended! 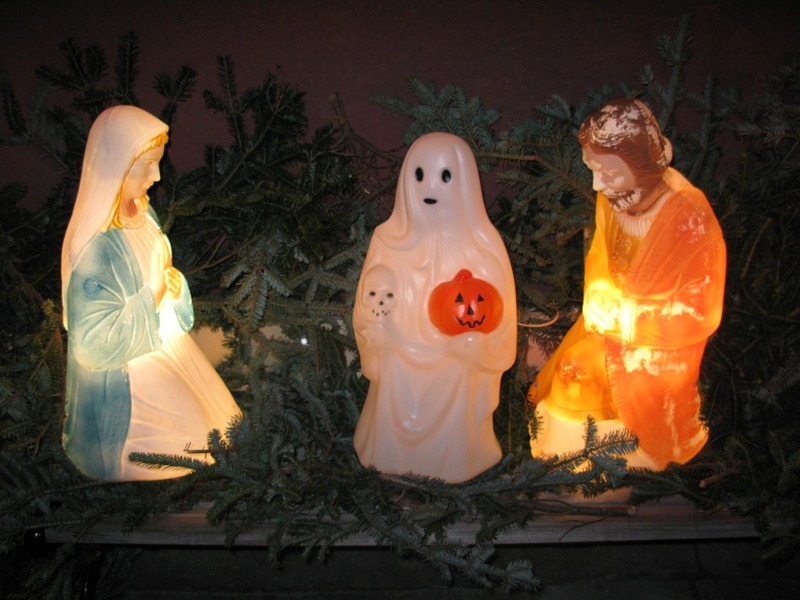 Not quite a Nativity scene on display on public sidewalk. Brilliant! 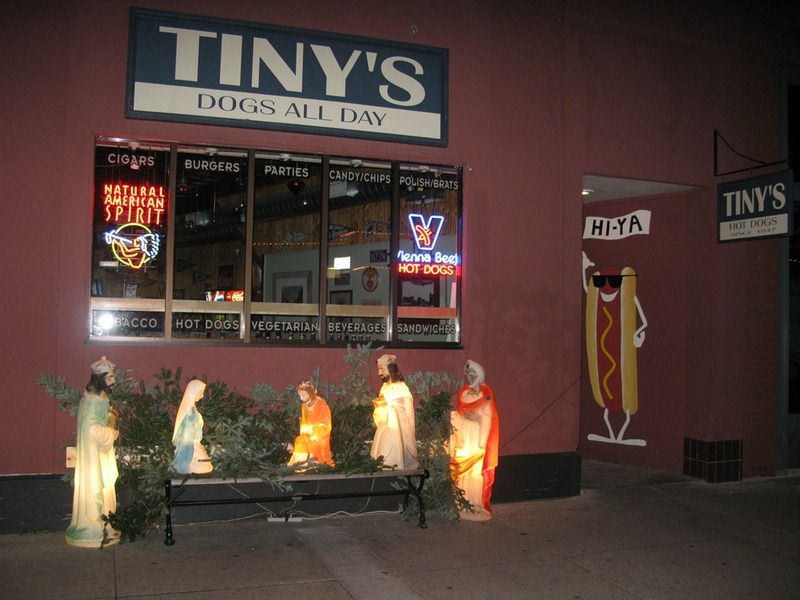 Looks like Tim Sellars has figured a way to legally have a Nativity scene display on the sidewalk in front of Tiny’s. There’s no baby Jesus there so it’s not really religious, just a display of a bunch of Palestinian figurines hanging around, waiting expectantly for the hot dogs to be served. Update 12/3, 6:15 am: The Palestinians evidently have not been waiting for hotdogs. New photo taken this morning on the right.